Looking for the best pen display tablet? 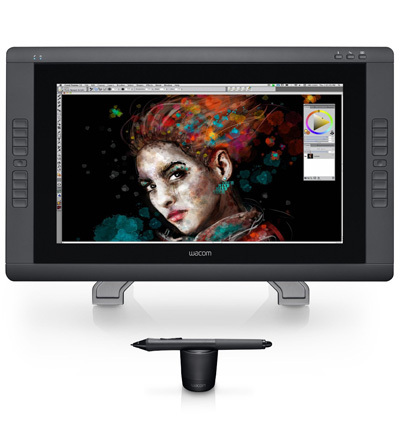 Wacom Cintiq 22HD touch interactive pen display can be your best option. Read the full review, I think you'll get all information about the display. There are in-dept info of the tablet, unique features, positive & negative things and frequently asked questions. Touch interactive pen displays are an incredible form of modern technology that use an interactive screen and a stylus to make art, drawings and such kind of content directly into a computer. For professionals like architects, graphic designers and graphic artists a touch interactive pen display is such an assistive feature and tool and doubles if not triples effectiveness. It is a fantastic tool that ultimately enhances your abilities so that when you draw, your drawings go directly into your computer and you can now make drawings as if you were doing them on paper using a pen-like device and your actions are seen directly on your screen. The best touch interactive pen displays have certain qualities that come with them that make them the best and this article is written to delve into one of the best of these devices, the Wacom Cintiq 22hd touch. Attention to detail is one paramount factor for any branch of art. Every stroke every line every dot is a very significant factor in bringing out the larger picture into life as the artist has visualized it. Thus, for an interactive pen display sensitivity to touch and pressure levels can mean a lot. The Cintiq 22hd touch offers a very high level of professional pen pressure sensitivity. It also gives a pen tilt sensitivity that is good for capturing every point the stylus makes on the screen making sure nothing is missed or goes unnoticed. Use Multi- Touch Gestures To Pan, Zoom, Rotate, Etc. Versatility, flexibility, ease and freedom of movement are all factors necessary to enabling an artist to make art pieces come to life. 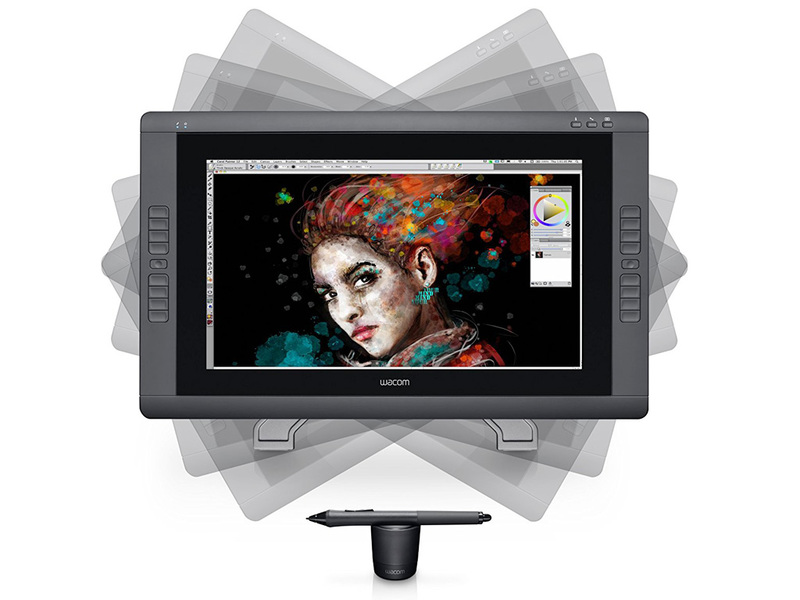 The Wacom Cintiq 22hd touch comes with multi- touch gestures that allow the user or the artist pan, zoom, rotate, interchange, increase, decrease among a host of other manipulation tricks you could use to make work effective and easy. This multi- touch feature proves to be a huge friend of any artist using this interactive pen display. Extra screen size to fit more pallets and menus. Touch can be disabled for easy button use. Good IPS panel for good color reproduction and maximum viewing angle. The stylus is small and comfortable. The huge base needs extra space. The border around the screen is quite big. Monitor heats up after long usage. Screen protector is needed to protect against scratching. Personalization has to be one of those things everyone wants so that they can make their work and workplace special to them. We all love our things a certain way and in a certain place and manner. If a program, a tool a device allows this, then it wins over any other that does not. The Wacom 22hd Touch allows for personalized shortcuts and modifiers so that you can modify your work area and places of saving your work to suit you as a person. Some people would like their work a bit scattered on their screens and not so much order. Others would like a well-organized area with their files probably arranged in alphabetical order. Still, another may want their files of different types grouped together. This touch interactive pen display allows you to do exactly that. With ergonomic devices, you don’t worry about aching backs and hurting wrists or sore fingers. It is specially made with the user well in mind. 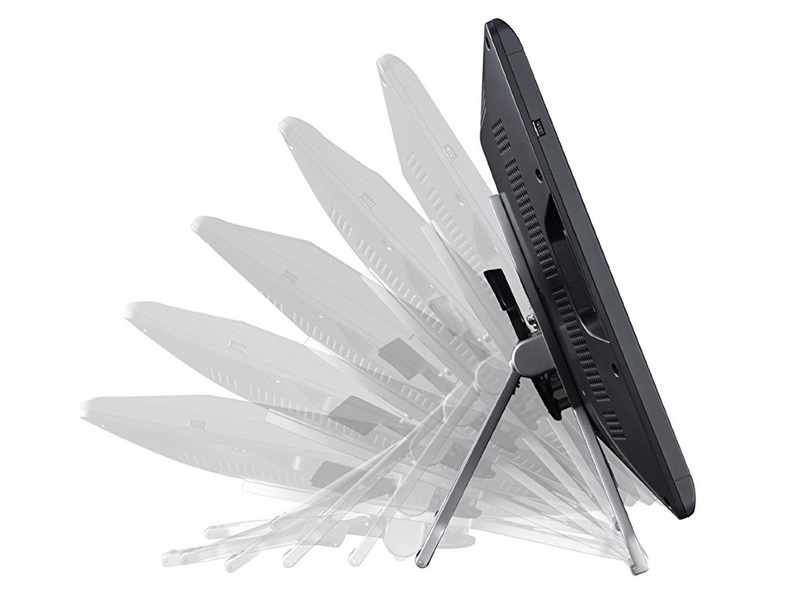 That is why the Wacom Cintiq 22hd Touch is made with a stand that conveniently adjusts to your position as you sit stand or whatever position you will be in at the time. Fantastic is it not when a device takes care of you even as you work and put your mind to your work? Art is very sensitive to display. The wrong kind of display and your piece of art falls to something so unattractive that no one wants to set eyes on. Or even transform into something different, different from the original thing. Many people don’t know it but to achieve perfect color blend your screen has to be one to take millions and millions of colors. 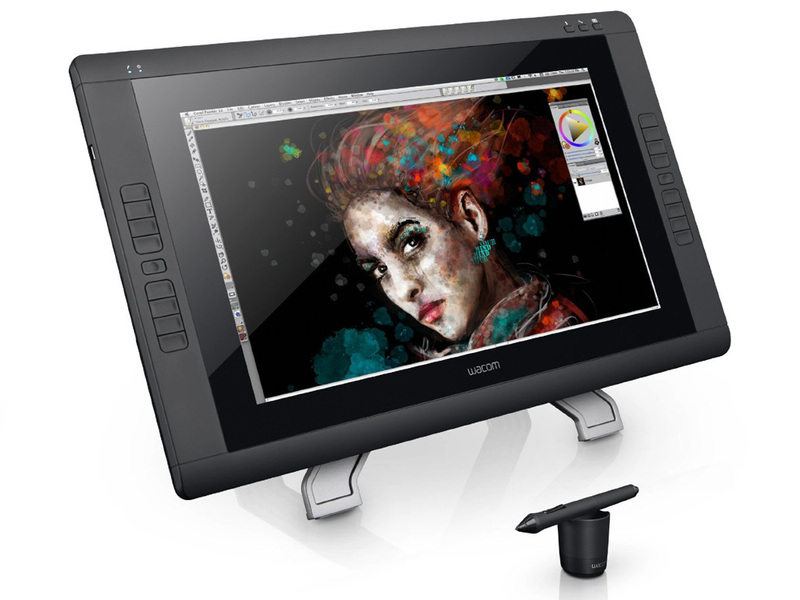 The Wacom Cintiq 22hd touch has HD display which comes with 16.7 million colors that not only give you the best display as you work but also help you give the people you are making your art for, a perfect display to see what you have done clearly. Q: Can we download illustrator or any other programs apart from the ones inside? A: When plugged into your computer you use any program that is on the computer. Q: I will be using this for teaching, will it be compatible with MacBook? Q: Can I use it without connecting it to a computer? A: The Cintiq is just a monitor. You have to connect it to a separate computer. Q: Can this stand in portrait mode? A: Unfortunately no it cannot. Q: Any left-handed user tried using it on Windows 7? A: The Cintiq can be rotated. The stand is simply removed, and you can set up for a left or right handed person. It is easy to know a good product from the kind of features it offers and the reviews people give it. This drawing tablet is a winner either way and with this, you get a good look at its goods and bad. In short, I would say this is a wonderful product made with every detail squarely in mind putting together a well-choreographed piece of technology that is likely to offer you a superior experience.